The All Nighter Liquid Foundation comes in a super sleek and reflective gunmetal bottle equipped with an airless pump dispenser. The outside features some cool geometric cutouts so the foundation shade is clearly visible. This is a matte, full-coverage foundation that's supposedly three times as pigmented as the Urban Decay Naked Skin Liquid Makeup. The formulation is creamy and viscous but spreads nicely on the skin. As promised, the coverage is phenomenal. 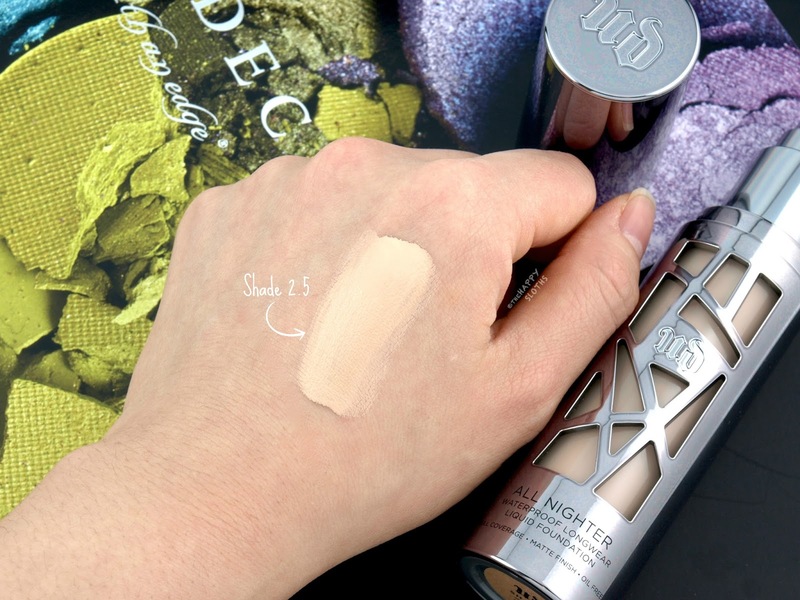 The formulation is super pigmented (comparable to that of the Kat Von D Lock-It Tattoo Foundation) and capable of camouflaging most discoloration and blemishes. A thin layer is all you need and the foundation blends out seamlessly around the hairline and neck. 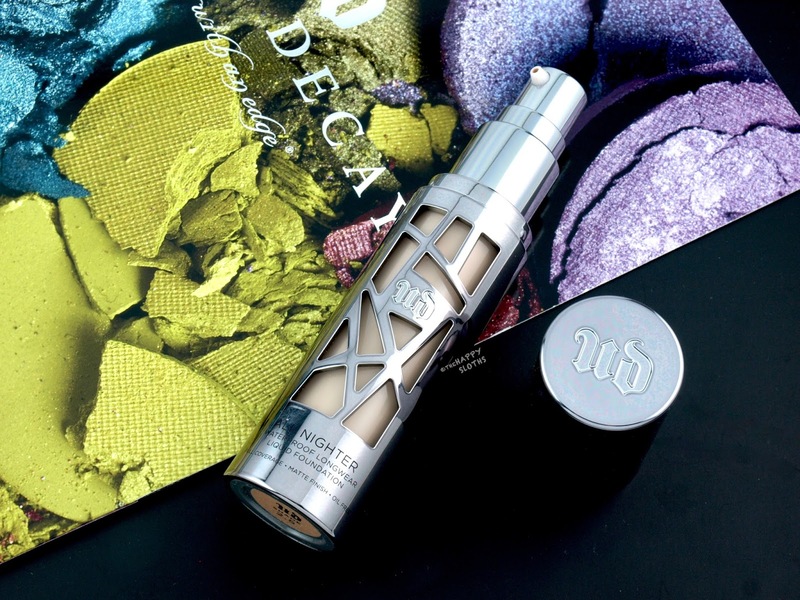 Urban Decay All Nighter Liquid Foundation in Shade "2.5"
Once set, the foundation has a matte but natural finish. The formulation is fairly smoothing and blurring as well, sitting comfortably on the skin without feeling heavy or cakey. In terms of wear, the All Nighter fares less than optimal. At around the seven-hour mark, there was noticeable fading. Pigments collected and creased around my nose while the rest of my face looked dry and patchy. There were some settling as well and the foundation accentuated dry patches and other textural imperfections. I have here the shade "2.5". It is described as "fair with a subtle pink undertone". I actually found the color to be quite neutral in tone and there was minimal oxidation throughout the wear time. 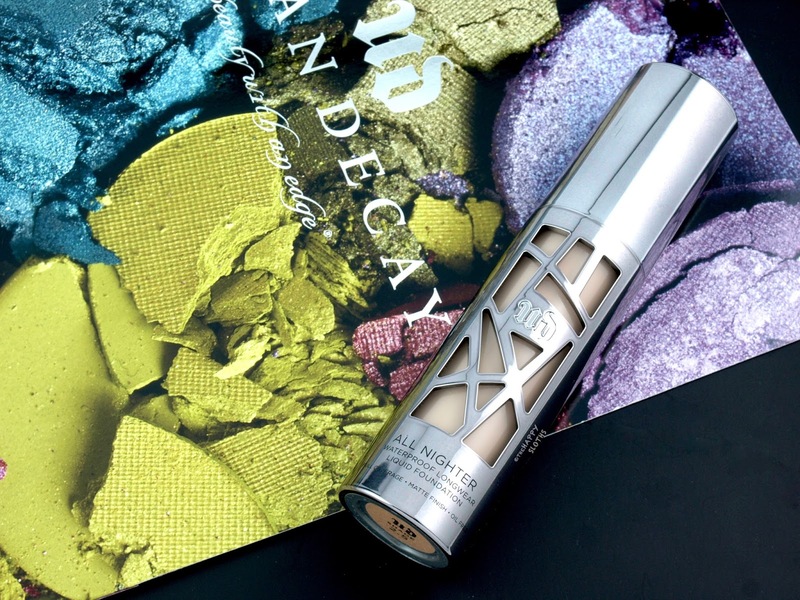 Overall, this is a super pigmented foundation that provides some serious coverage. The matte finish looks natural and flattering but the wear falls short. 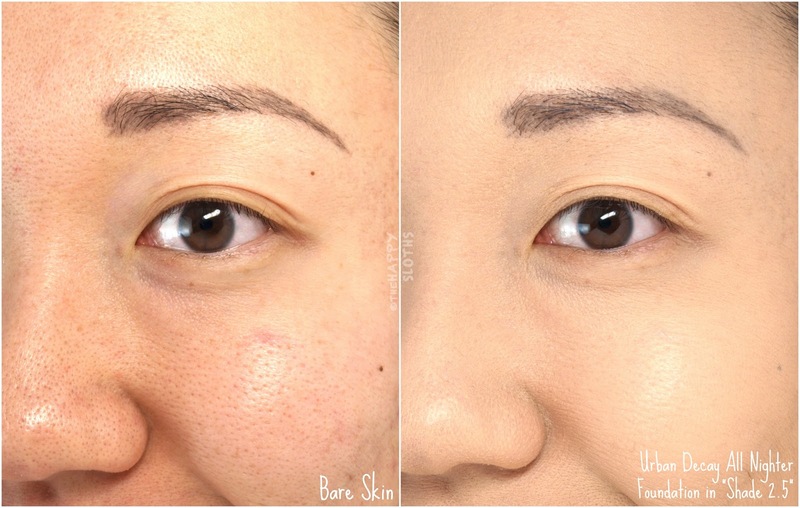 There was noticeable fading and creasing on the T-zone while the rest of the face became dry and patchy. Perhaps with a good primer and setting spray, this foundation could wear better. However, if a high-coverage, long-wearing foundation is what you are looking for, I would suggest checking out the Lancome Teint Idole Ultra Long Wear 24H Foundation or the Dior Forever Perfect Foundation instead. Neither are as pigmented as the All Nighter but they both last beautifully.